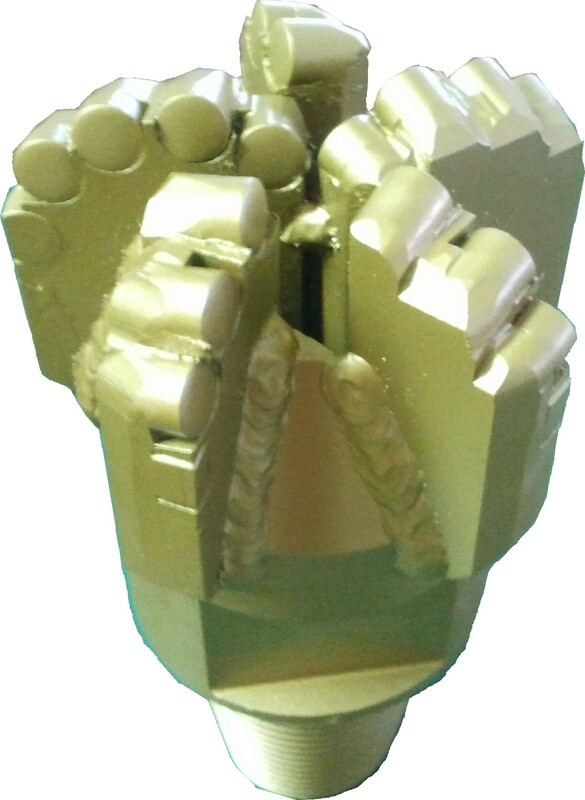 The ST5 is a 5 blade PDC drill bit with a solid steel base and embedded PDC cutters. Caused by its construction this bit comes with a big single center flush hole. Because of its geometry, this type is particularly suitable for semi hard up to hard sedimentary rocks such as Clay-, marl-, sand-, or limestone. Distributed due to the large number of PDC cutters placed on 5 cutting blades made this bit good for long periods with less wear out and less vibrations while drilling.